Im sick and tired of the lag in this game. Every update it gets worse. I lost my Motormaster in an alliance mission because the game froze mid fight. On top of the freezing and lag, my bots are not responding to my commands the way they are supposed to. When I swipe up, it takes way too long for the sidestep animation to begin. Sometimes i swipe up, and my bot will dash forward RIGHT INTO A 5 HIT COMBO OR SPECIAL. This is UNACCEPTABLE KABAM! 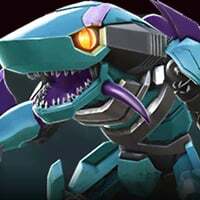 It is PARAMOUNT that your bot does what you [the player] tell it to because one mistake in master spotlight, Alliance Missions, or any high level content and YOU ARE DEAD. I don't want to hear this "oh we're working on it" BS. Thats scrap and you know it. It has been a year hell almost 2 years and the lag and crashing has not been fixed. IT'S TIME FOR ACTION! As much as I want new contentand bots, I'd rather you put all that on hold and work on making this game BUG FREE AND PLAYABLE. 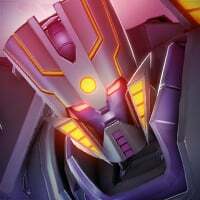 I am sick of spending hundreds of energon (That id much rather use on masteries and energy refills) on repairs and I'm tired of losing fights because the game refuses to work properly. Why do we the players have to suffer because of your inability to fix an issue that has persisted since launch KABAM. The lag is really bad. And this game causes my phone to overheat, but I play other games afterwards and my phone cools down. How does that happen?